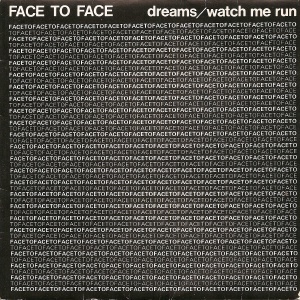 Though the single suggests they were a duo, Face To Face were in fact a band, a post new wave rock/pop act influenced by the Banshees, Pretenders, Simple Minds, etc as well as some older influences. They formed as Soundproof but quickly changed their name. 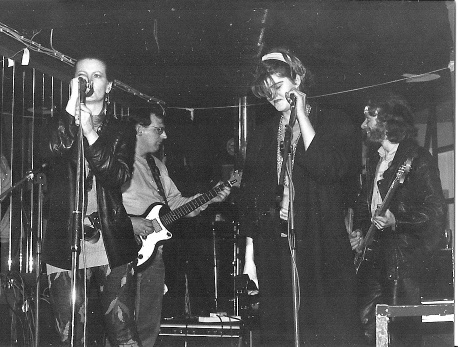 They were active during 1985-86 and played out in Dublin regularly. They'd written enough material to fill two albums by the time they broke up. Don McKevitt (guitar) appears on the single. 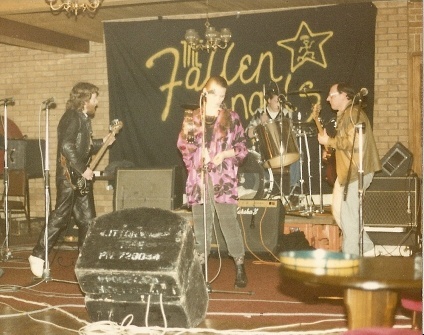 Other members included Gerry Wright (drums) and Kieran Farrell (lead guitar) pictured in the live shots below in front of the Fallen Angels stage backdrop at the Elphin Hotel in Dun Laoghaire. 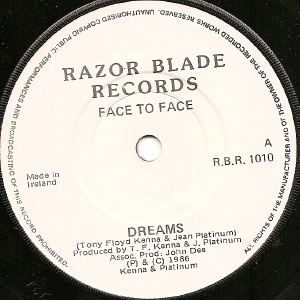 Razor Blade was the bands own label. The only other release was issued under the name Platinum & Kenna. Tony Kenna had earlier been in Rocky De Valera and the Gravediggers in 1977-78. He left to team up with R& guitarist Joe McGuinness in a band which played under various names including Maggies Farm & Roadhouse, from 1978 right up to 1986. 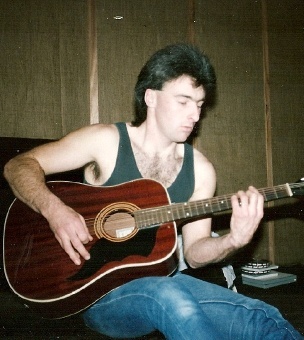 He was also in a number of early 80s bands including Bareheart and Good Intentions. Some of these bands recorded demos and received some limited airplay but none of them released any vinyl. Razor Blade issued six Good Intentions tracks on CD in 2009. 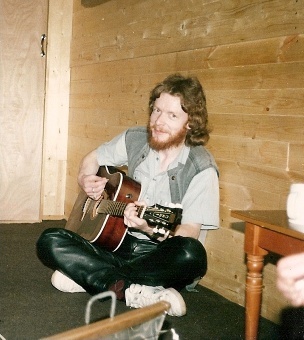 Tony Kenna served on the council of IASC (Irish Association of Songwriters and Composers) in the mid-80s, running workshops and social events and editing the newsletter for several years. The IASC was a driving force behind the formation of IMRO. 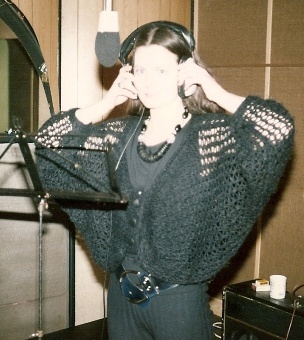 He was also the house sound engineer in Harold’s Cross Studios for several years. In 1988 he retired from active participation in the music business. Another, unrelated Face To Face released a single "Son Of A Gun" on Dental Records in 1988.
photos taken at Slane Studio: Jean (top left), Tony (top right), Don (above). 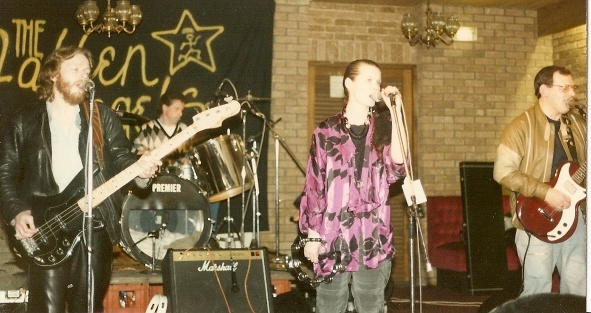 Supporting the Fallen Angels, with Kieran (lead guitar) and Gerry (drums). A 12 mix of the A-side was prepared but never released. Notes: Recorded at Slane Studios, engineered by John Dee, produced by Face To Face. Also present on this recording are Don McKevitt (guitar, keyboards) and John Dee (drum programming, triplet guitar). Remastered at Beechpark Studios. A limited release available from Road Records in Dublin. 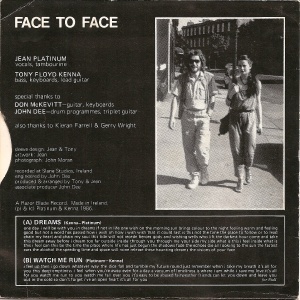 Obscure cassingle by Jean Platimum and Tony Kenna, with lyrics by Tony's Dad Joe Kenna.